I was listening to Mo, Mojo, Grace Lee and Angelicopter in Magic 89.9 and they have this guest singer - Noelle Cassandra is her name. She was singing 'Gloria in Exelsis Deo' when I tuned in. I thought they were just playing a recorded song. 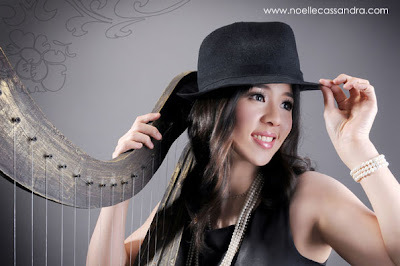 But it turned out that she's singing live and on top of that, with a harp. She was really really good. Very angelic voice. So I did the most obvious thing to do, surf the web and search for Noelle Cassandra photos. And she looks good ha. And not only photos I found, but also her profile. In her facebook profile, here's what it says on Noelle Cassandra. 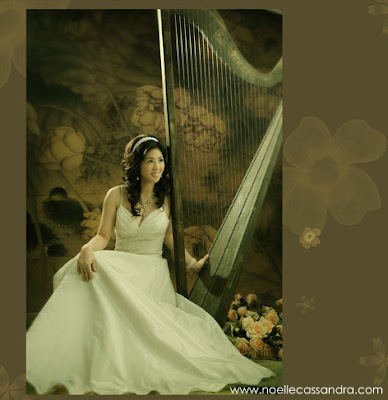 As a harpist, she has been in demand and has played with some of the Philippines’ top singers including Kuh Ledesma, Sharon Cuneta, Martin Nievera and has also worked with top musicians Louie Ocampo, Mel Villena. 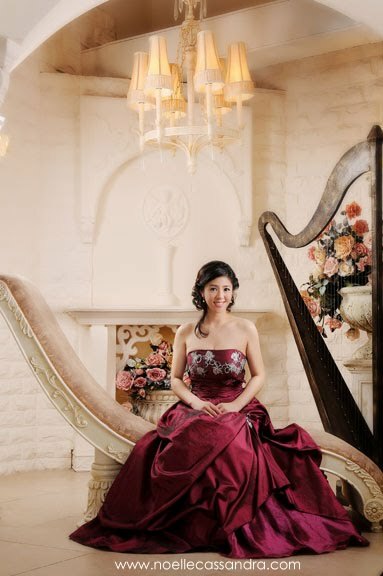 One of the highlights of her young career was playing at Josh Groban’s concerts when he performed live in Manila.